Looking for chicken wing recipes? 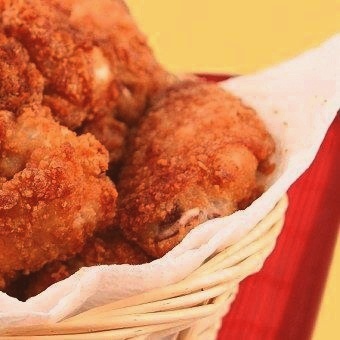 Get tips for preparing these tasty quick and easy KFC wings that can be served at parties or as a snack for kids. If you have ever had them, you have to love them. If you are using frozen wings, allow them to defrost and marinate. For fresh wings you are going to want to take the wing and remove the flipper and then break them into two pieces and then marinate them. In a small bowl mix together the beaten egg with the milk. In another small bowl, combine the flour, salt, pepper, garlic powder, paprika and MSG. When shortening is hot, dip each wing first in the flour mixture, then into the milk and egg mixture, and back into the flour, until they are evenly coated. Bread all the wings, cover dish or bowl and refrigerate for 60 to 90 minutes. When they are ready to be used, heat oil in a deep fryer to 375 degrees F (190 degrees C). The oil should be just enough to cover wings entirely, an inch or so deep. Fry coated wings in hot oil for 10 to 15 minutes, or until parts of wings begin to turn brown. Remove from the shortening and allow them to drain for at least 3 minutes. For the barbecue ones dip in the barbecue sauce and serve. will this kfc recipe work? ?